Hey Y'all!! Thanks for stopping by for another awesome party! Come back next week for my newest cupcake creation. Until then, I can't wait to see what you have in store for us! Looking for an easy snack to make tomorrow? 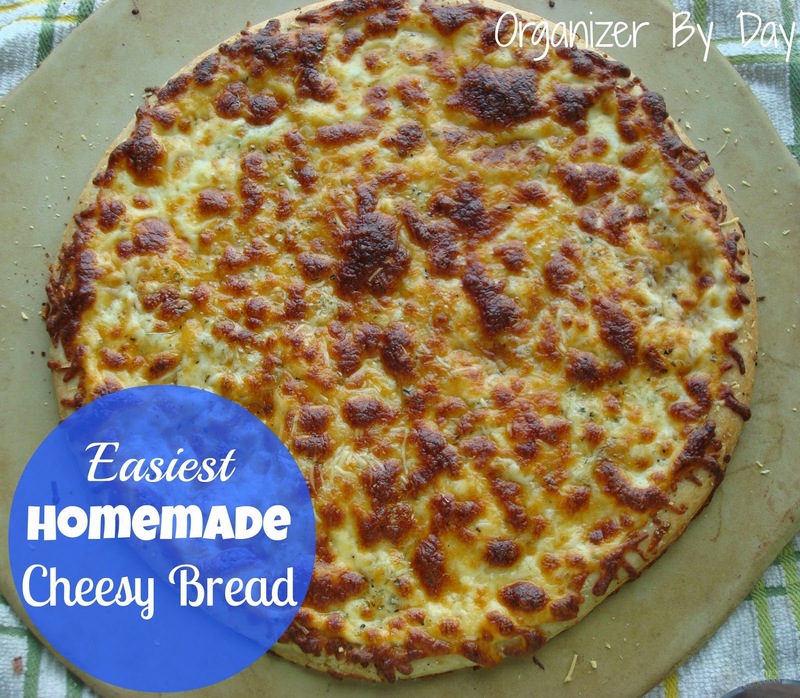 Try making the Easiest Homemade Cheesy Bread! Complete the form here! Monthly co-hosts will be chosen on a first come first-serve basis. We're now accepting guest hosts for August & September. Elie chose Fresh Strawberry Popsicles from Robyn's View. "These Strawberry Popsicles from Robyn's View are so easy and sound absolutely delicious! With only three ingredients you can have yourself a tasty summer treat!" Tenns also chose this post. "I love simple and sweet recipes, and that’s exactly what these popsicles are. Not to mention delicious looking. I’m a huge strawberry lover and these are right up my alley. Can’t wait to give them a go!" Ashley chose Room By Room Recap - Foyer & Stairs from 702 Park Project. "With an amazing amount of hard work and dedication, Sarah from 702 Park Project turned their green trim, multi-colored walls, and gold carpeting on the stairs to clean and crisp foyer. I'm following along to see the rest of their house renovations!" Victoria chose What Should A Blogger Do When Her Identity is Revealed? from Surviving & Thriving in the Second Year of My Divorce. "I chose this blog post because of the title. I felt as though all bloggers used their real name and before reading this post I would of thought the bloggers was named Kat. It was interesting and it held my attention so good that it read it entirely." Cathy chose Easy, Delicious, Chocolate Peanut Butter Biscotti Recipe from Tikkido. "We love biscotti and I haven't made any before...now! I can't wait to try these Chocolate Peanut Butter Biscotti!!" 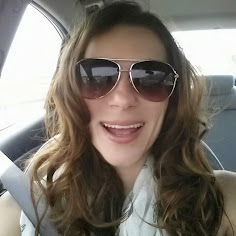 Alycia chose Using Linkys to Gain Readers, Followers, Friends and Fans from The Mom Maven. "I think this is a great post because I know, as a blogger myself, it can sometimes be difficult to gain followers and really get your blog out there. There often isn't anyone giving you tips on how to be effective, so I think this is a great tool to use!" Jillian also chose this post. "We all know that linking up with other blogs is important, but what people don't realize is that there are right and wrong ways to do it. Cindy does a wonderful job explaining how to get the most out of link-ups and how to follow the rules!!" April also chose this post. 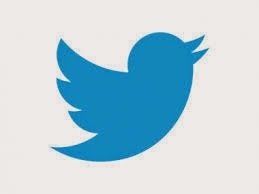 "Many people, including myself, struggle to actually gain a good following from linky parties. I love that Cindy broke it into four easy steps to make your efforts worth it!" Katy chose Cilantro Lime Shrimp, Avocado, Chickpea Salad from Luv a Bargain. "Just reading the title of this post made my mouth water. This sounds like such a fabulously tasty combination and the perfect fit for a summer lunch. I can't wait to give this recipe a try!" Rhonda chose I'm too old for roller coasters from Just A Touch of Crazy. "It's difficult to admit that you're maturing and your body can no longer handle things that you once enjoyed. It's even more difficult to admit it in front of family and friends. I admire this mom's courage for giving it one last try." Rachel chose Creating a Meal Plan Around Seasonal Produce from Little House Living. "I chose this post because she gives some great recipes for using up seasonal produce and how to get the most out of fresh fruits and veggies. Even if not fresh from a garden, buying vegetables in season is healthy and budget savvy." Jessica also chose this post. "Loved it! I was put on a diet restriction by my doctor which consists of eating LOTS of veggies. Eating healthy can get super expensive. Her post came just in time for me! it's a lot cheaper to buy during the season and of course we can always grow our own food!" Karen chose Anthropologie Knock-Off: Sharpie Art from Dwell Beautiful. "A great 'knock-off' project - a quick and unique way of creating art for the home." Cindy chose Watermelon Smoothie from Krafts & Kiddos. "I have a lot of watermelon in the fridge right now and I'm the only person in my house who likes it so I have been on the hunt for new ways to enjoy this sweet summer treat. This smoothie is a great idea!" Stacey chose German Chocolate Brownies from Memories by the Mile. "When I was growing up my mom would make German Chocolate cake from scratch and it was always one of my favorites. Sadly my kids don't like coconut or nuts, so I have not been able to make one for years. And as everyone already knows, I love brownies! Especially topped with powdered sugar! These look absolutely divine! Thank you so much for sharing!" Katie chose Lonely Keys from Woods of Bell Trees. "I love this simple, but glam project! My keys are also lonely, and this is just the thing I need! Love the leather and touch of gold! Heather did a great job!" Natasha chose Letter To My Unborn Child from Mummy Goes Mad. "I can still remember when I was my pregnant with my son, and all the emotions and feelings that I had before he was born. Maria expresses this in her post so beautifully! Great post!" Tara also chose this post. "I loved reading this post. It made me teary eyed reading Maria's letter to her unborn child. Being a mom for the first time, I realize all the emotions that you go through while being pregnant, which can become very overwhelming at times. Maria expressed those emotions in her letter to unborn child, I thought it was so sweet!"